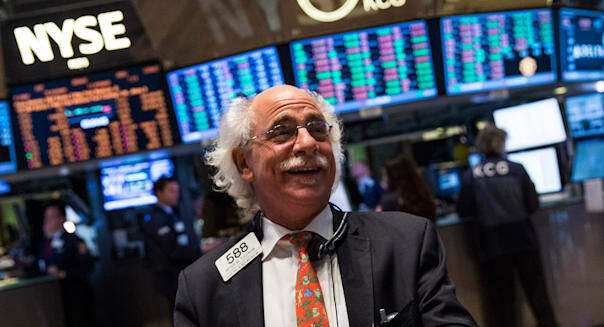 After crossing the 16,000 mark on both Monday and Tuesday before heading back down to close below it, the Dow Jones industrial average (^DJI) ended the day above that milestone level for the first time on Thursday. The Dow rallied 109 points. It just so happens that it was on this day in 1995 that the Dow topped the 5,000 level for the first time. The S&P 500 (^GPSC) rose 14, and the Nasdaq (^IXIC) gained 48 points. General Motors (GM) gained 1 percent Thursday after the Treasury said it will soon sell its remaining 31 million shares in the automaker. When the sales are final, taxpayers will have recouped about $70 billion dollars of the $80 billion used to bail out the company in 2009 -- a lifeline that saved the company and tens of thousands of American jobs. Among the best gainers on the Dow, Intel (INTC), American Express (AXP), and JPMorgan Chase (JPM) all gained 2 percent. Goldman Sachs (GS), UnitedHealth (UNH) and Chevron (CVX) all rose more than one percent. But some retail stocks were hurt by earnings news. %VIRTUAL-article-sponsoredlinks%Target (TGT) fell 3 percent. It lowered its profit forecast, indicating the holiday shopping season could be very rough. And Sears (SHLD) lost more than 3 percent after posting another loss and weak revenue growth. Investors also shook 4 percent off the price of Dollar Tree (DLTR). Its net fell short of expectations. And video game retailer GameStop (GME) lost 7 percent on a downbeat forecast for the current quarter. In general, retailers catering to lower income shoppers are really suffering, right along with those customers. Abercrombie & Fitch (ANF) was little changed even though it forecast weak sales. The stock has lost 20 percent over the past year, after losing its cachet with buyers of trendy clothes. On the upside, Williams-Sonoma (WSM) rose 7 percent. It posted a solid earnings gain and raised its outlook for the holiday quarter. And Green Mountain Coffee (GMCR) was one of the day's big winners. Its shares perked up 14 percent higher as earnings topped expectations. Apple (AAPL) gained 1 percent after a jury in California awarded the company $290 million in its long-running patent infringement suit against rival smartphone maker Samsung. Finally, biotech giant Amgen (AMGN) fell 3 percent after a market advisory firm said the stock has dropped below a key technical level. The Labor Department releases its job openings and labor turnover survey for September at 10 a.m. Eastern time. These major companies are due to report quarterly corporate earnings before markets open in New York.